1. How do modern landfills protect the environment? 2. Can degradable plastics solve the solid waste problem? 3. Are we running out of safe places to put landfills? 4. Why are so many landfills being closed? 5. What happens inside a modern waste-to-energy facility? 6. Is waste-to-energy incineration safe? 7. How much waste-to-energy capacity is there? 8. 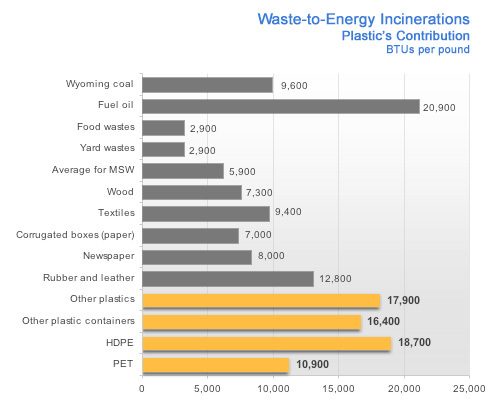 How do plastics contribute to waste-to-energy incineration? The purpose of solid waste management is to remove wastes from living areas in a way that protects human health and the environment. Landfills fulfill this mission by sealing wastes away from the surrounding environment with liners and keeping them covered by more than six inches of dirt. By sealing in wastes, landfills also control biodegradation, limiting the risk of explosive methane emissions. Uncontrolled biodegradation could also result in a toxic sludge that, if leaked, would endanger groundwater supplies. Modern landfills almost "mummify" waste. Recent landfill excavations have turned up 35-year-old newspapers that were still perfectly legible and 15-year-old corn that was still recognizable. Because landfills are designed to limit degradation, degradable materials of any type are not likely to affect the amount of landfill space available. Likewise, degradability provides no benefit in the areas of recycling and waste-to-energy incineration. In areas where composting or wastewater treatment is available as a solid waste disposal option, however, new degradable plastics may prove effective. Composting plastics and paper waste with other organic compostable materials like yard waste, food and agricultural waste creates a valuable soil supplement and contributes to improved farming and gardening efficiency. Flushable, biodegradable products are readily treated in a regulated wastewater and sewage treatment facility, reducing the impact on other disposal systems. No. While the total number of landfills is decreasing, total landfill capacity is actually increasing. It appears that the trend in solid waste management is to operate fewer, but larger and safer, landfills. For example, in 1988, 70 percent of the country's landfills (the smaller ones) handled less than 5 percent of the MSW that was landfilled nationwide. Fewer than 500 landfills (the bigger ones), or 8 percent of the total, handled about 75 percent of the landfilled MSW. Landfills are closed when they fail to meet strict regulatory requirements or simply because they are full. Many of the "landfills" most recently shut down were small, poorly run and inefficient or were actually open dumps closed for environmental reasons. Contrary to popular belief, landfills are designed to minimize and control biodegradation. If they weren't, the uncontrolled biodegradation of such large quantities of waste could create explosive gases and toxic leachate, a threat to our groundwater supplies. The energy value of municipal solid waste (MSW) can be recovered through waste-to-energy incineration. Modern energy recovery facilities burn MSW in special combustion chambers, then use the resulting heat energy to generate steam or electricity. This process reduces the volume of MSW to be landfilled by as much as 90 percent. Energy recovery facilities are designed to achieve high combustion temperatures, which help MSW burn cleaner and create less ash for disposal. Modern air pollution control devices - electrostatic precipitators, dry and wet scrubbers, and/or fabric filters - are used to remove potentially harmful particulates and gases from incinerator emissions. Yes. In 1989, the U.S. Conference of Mayors convened an international blue-ribbon panel of experts to discuss the health and safety impacts of waste-to-energy incineration. The symposium participants concluded that a properly equipped, operated and maintained energy recovery facility can operate within existing regulatory standards for human health and safety. The Clean Air Act of 1991 provided for an additional margin of security with tightened emissions standards. Furthermore, many communities are recognizing the importance of removing recyclables, as well as items such as batteries and household hazardous wastes, before incineration to reduce toxic components in incinerator ash. The symposium participants found that, contrary to popular misconception, there is no evidence to link the incineration of PVC with increased dioxin emissions. 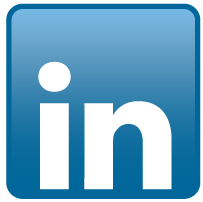 Similar conclusions have been reached in a number of sources, including a 1987 study for the New York State Energy Research and Development Authority. Generally speaking, electricity is generated as safely through waste-to-energy incineration as it is through a power plant. There are 121 energy recovery facilities operating in the United States, with a designed capacity of nearly 97,000 tons per day. An additional five facilities are under construction and 31 are in the planning stages. If all of these facilities come on line as planned, 19 percent of the nation's MSW will be processed by energy recovery facilities by the year 2000. Plastics are derived from petroleum or natural gas, giving them a stored energy value higher than any other material commonly found in the waste stream. In fact, one pound of plastics can generate twice as much energy as Wyoming coal and almost as much energy as fuel oil. When plastics are processed in modern waste-to-energy facilities, they can help other waste combust more completely, leaving less ash for disposal in landfills.